Aquis Farm and Blue Sky Bloodstock (FBAA) have emerged as front-runners for the Magic Millions 2YO Classic with brilliant fillies Singular Sensation and Silent Lady. Singular Sensation (Not a Single Doubt) is unbeaten after wins at Sunshine Coast and Doomben while Secret Lady (Choisir) qualified for the $2 million sales-related event courtesy of a one-length victory in the Golden Gift at Rosehill on Saturday. Blue Sky Bloodstock’s Julian Blaxland bought Singular Sensation for $250,000 on the Gold Coast and he picked up Secret Lady for $150,000 at the Perth Magic Millions. Aquis Farm filly Sunlight (Zoustar) is also set to secure enough prizemoney to make the Magic Millions Classic following a black-type placing on debut in the LR Maribyrnong Trial at Flemington. 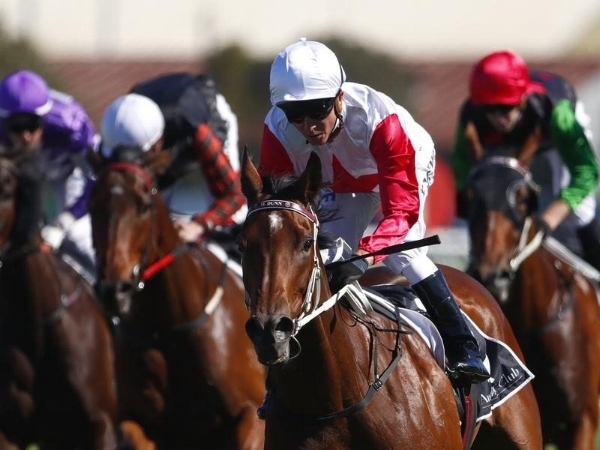 The Tony McEvoy-trained youngster was a $300,000 buy at the Gold Coast. Secret Lady launched a winning afternoon for Federation of Bloodstock Agents Australia members on Saturday. FBAA graduate Miss Dubois also won at Rosehill after a perfectly-judged Kerrin McEvoy ride in the $100,000 Country Classic (2000m). The NZ-bred daughter of High Chaparral was initially purchased by Belmont Bloodstock (FBAA) for $50,000 at the 2012 Karaka yearling sale. She is a half-sister to Gondorff (G3 WA Queen's Cup) and her residual value could continue to grow during a final campaign next year. Miss Dubois won three races for Patrick Payne in Victoria before moving north to Matt Dunn. She is now raced by RIFA Group chairman Wu Jae after making $150,000 at Magic Millions National Broodmare Sale in June. Belmont Bloodstock’s Damon Gabbedy and his clients Wilf & Rosemary Mula celebrated a Group 1 earlier this month when Pierro filly Pinot won the Victorian Oaks. Gabbedy had purchased her dam Dizelle (Zabeel) privately earlier this year for the popular couple from Sydney. Hancock Quality Bloodstock (FBAA) chimed in with Phelps Glory at Morphettville. Agent Adrian Hancock bought the All American sprinter for $62,500 at the 2016 Adelaide Magic Millions on behalf of a Wylie Dalziel syndicate. Bred by Jonathon Munz, he is from a sister to Moonee Valley Group 2 winner Rekindled Interest (Redoute’s Choice). John Chalmers Bloodstock (FBBA) added some stakes-winning polish with Celebrity Dream in the LR Jungle Dawn Classic (1200m) at Ascot. He bought her for $260,000 at the 2014 Karaka yearling sale for Bob & Sandra Peters.